Annie Ransom has been teaching science since 2005. She taught chemistry and biology at the high school level before moving into the best job ever at University Preparation Charter School as their Science Coach. In this position, Annie hosts enriching laboratory experiences for all K-8 students, coaches teachers in classrooms, and works with CSUCI's Education Department on several collaborative efforts to bring high quality science instruction to new teachers and their mentors. Annie has presented workshops on a variety of educational topics at several science conferences such as CSTA, Gold Coast Science Network, and through Ventura County Office of Education. In 2015 she was recognized as Educator of the Month by the Camarillo Chamber of Commerce and as a STEM Radical by VC STEM in 2017. In that same year, UPCS was recognized as a Golden Gear School by VC STEM for not only their own schoolwide progress in moving towards NGSS but also for promoting NGSS professional development to teacher candidates and local teachers countywide. Annie is proud to be a part of such a dynamic, collaborative, and progressive culture. She looks forward to her two young children Jameson (4) and Josephine (2) becoming UPCS Dolphins in the near future. Charmon Evans has enjoyed over 25 years in education. Before coming to UPCS in 2002, as a founding teacher, she taught for the Hueneme School District. 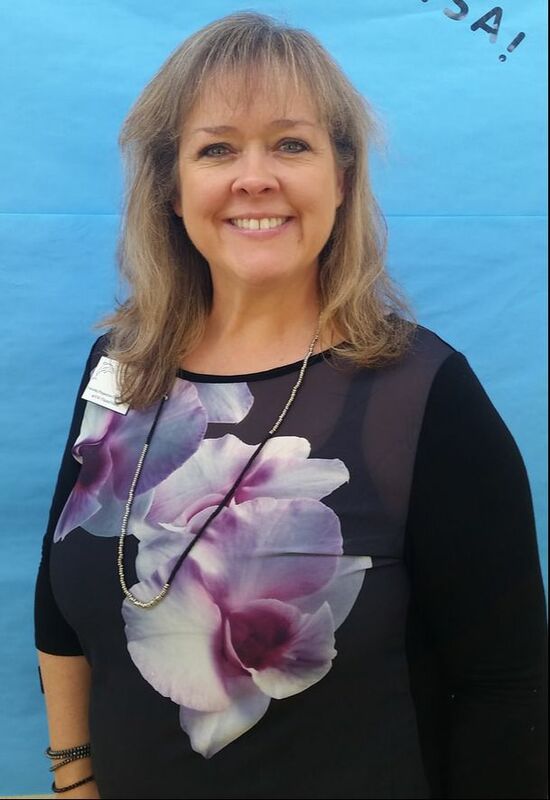 Ms. Evans earned her masters in Curriculum and Instruction in 1997 from Azusa Pacific Univeristy, her masters in Educational Leadership in 2007 from CSUCI, and her Chief Business Officers certification from University of Southern California in June 2012. Ms. Evans enjoys working with the wonderful students, families, staff, and community members who are dedicated to maintaining a high quality program. In her free time Ms. Evans loves to travel, whether it be camping in the High Sierras with her family or riding the rails in Europe, she loves it all. She also loves reading, fishing, and baking. Coming Soon!